rate increase Archives · Stop the Cap! Comcast has begun gradually rolling out 2019’s rate increases for cable television, equipment, and various service fees, starting with some markets on the east coast, sending the cost of Xfinity’s Digital Starter TV package over $100 a month when customers add typical equipment fees and surcharges. Comcast has also set a $70 charge for service calls, a $70 installation fee, and up to $99.99 for a complete setup of Xfinity Home. Customers on lower priced tiers will find the paperless bill discount is gone, as are discounts for selecting more than one service. In fact, Multi Product discounts no longer apply to certain Xfinity TV and Xfinity internet services, including but not limited to: Limited Basic, Digital Starter, Internet Essentials, and services purchased under a bulk service agreement. Unhappy about your cable TV bill? Don’t bother complaining to Comcast, because the cable company is ready to tell you to take your business elsewhere. New competition usually means those already in the business freshen their game, get creative, cut prices, or out-compete the competition with a better product. But Comcast plans to lose its restless cable television customers if they complain about the company’s prices for cable TV. 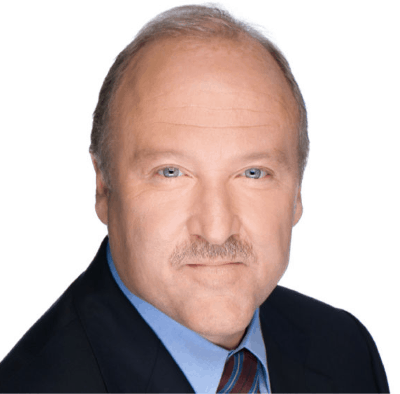 Dave Watson, president and CEO of Comcast Cable, told investors at the Deutsche Bank 2019 Media, Internet & Telecom Conference in Palm Beach the company is done handing out retention deals with cut-rate pricing to keep cable TV customers from leaving. “[Comcast is] simply not going to chase unprofitable video relationships,” Watson said, noting with the growing number of new streaming video competitors, more and more customers are calling looking for better deals and threatening to cut the cord. Watson says Comcast is prepared to let them. “Because of consumer choice, because of all this competition, we’re just not going to chase video [customers],” Watson repeated. Comcast’s new “we don’t negotiate” attitude with its customers isn’t groundbreaking in the industry. Satellite providers and some cable companies like Charter/Spectrum have largely stopped negotiating with customers as well. Some cable operators have intentionally avoided significant video price hikes in recent years, already sensitive to the cord-cutting calls that increase after each rate hike announcement. Others hide rate increases in surcharges, often for local TV stations or regional sports channels. For some companies, giving customers a better deal may even make their video pricing unprofitable. To compensate for tightening margins on cable television, most providers have been significantly increasing broadband pricing in recent years, knowing broadband is one service customers are least likely to drop as a result of rate increases. AT&T’s merger with Time Warner (Entertainment) is now complete, and despite repeated promises to antitrust regulators AT&T would not use consolidation as an excuse to raise rates, the company is reportedly doing exactly that on its DirecTV Now online streaming service. According to a report by Cord Cutters News, most current subscribers will be formally notified this week their rates are going up $10 a month and new customers will be offered only two choices for DirecTV Now packages going forward — a slimmed down Plus package of 40 channels and HBO for $50 a month and a slightly larger Max package with 50 channels bundled with HBO and Cinemax for $70 a month. Both represent fewer channels for more money. 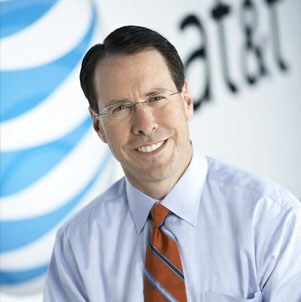 News about big changes for AT&T’s streaming services were first announced by AT&T CEO Randall Stephenson in late 2018, telling investors he planned to wring more profit out of DirecTV Now by raising rates and slimming down the number of channels in the remaining packages. Current customers can keep their current packages indefinitely, but they will pay more starting in April. The $10 rate increase comes on the heels of a $5 rate increase in the summer of 2018, and AT&T has made it clear more price hikes are forthcoming as needed. AT&T hopes its simplified menu of offerings for DirecTV Now will prove attractive to subscribers, in part because both packages bundle either AT&T-owned HBO or HBO and Cinemax. But subscribers are also likely to notice the dramatically smaller package of cable channels, now missing AMC, Viacom and Discovery-owned networks. They are also likely to be confused by the forthcoming introduction of DirecTV satellite streaming packages, which will be marketed separately from DirecTV Now. AT&T plans to eventually mothball its satellite fleet and move DirecTV entirely to an internet streaming platform, but will take several years before switching off the last satellite. AT&T’s DirecTV Now will slim its packages down substantially as early as tomorrow, while raising prices. Q. When will AT&T make these changes? A. AT&T is expected to email current customers on or about March 12, 2019 to inform them of the $10 rate hike. 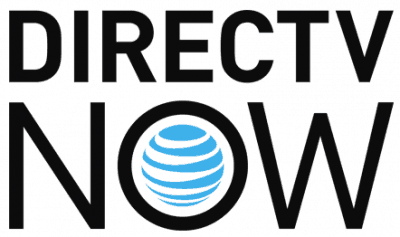 At the same time, AT&T is likely to stop signing up new customers for its current DirecTV Now packages and begin offering DirecTV Now Plus or DirecTV Now Max instead. Current customers can expect to see their first bill with the new rates in April. Q. Will current customers be grandfathered? A. AT&T plans to tell current customers they can keep their current packages as long as they do not make changes to their account (or cancel), but effective April 12, 2019, rates will increase $10 a month for those subscribed to: Live a Little, Just Right, Go Big, and Gotta Have It. Q. If I subscribe today to the older packages, can I avoid some of the price increases and channel changes? A. Yes and no. 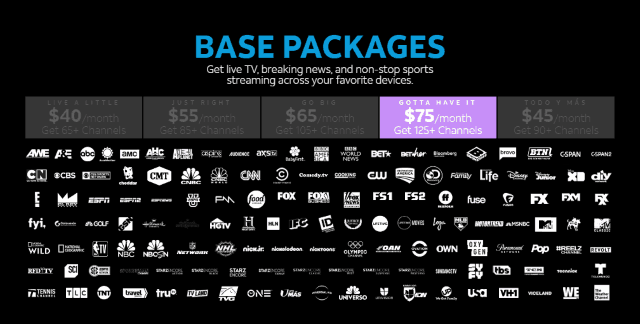 If AT&T’s schedule holds, today is the last day you will be able to signup for DirecTV Now’s old packages, and you will need to make a payment today and skip the free 7-day trial to lock in these packages or you could face choosing only between Plus and Max after your trial ends. You will pay existing rates for March, but the $10 rate increase will impact you starting in April. Q. What about the prices for premium channels? A. If the rumors are true, and we stress these are only rumors at this point, current DirecTV Now customers that already subscribe to premium networks like HBO or Cinemax prior to March 12, will be able to avoid planned rate increases on premium networks that are also supposed to be announced as early as tomorrow. If you sign up today and subscribe to HBO and/or Cinemax, you will pay $5 a month for each going forward. Showtime and/or Starz are also available for $8 a month each going forward. The rumor claims that starting tomorrow, HBO will triple in price to $15 each, with Cinemax, Showtime and Starz supposedly increasing to $11 a month each. These new prices would only apply to grandfathered customers on older packages that want to add a premium network on or after March 12 to their existing package. AT&T would use this new pricing to incentivize customers to abandon their old package in favor of Plus or Max, which bundles HBO and HBO and Cinemax into the base package price. So if you are thinking about subscribing to a premium network and want to keep your old package, you should subscribe today and lock in the current lower price. Q. What happens to pricing for add-on international channels? A. If you subscribe to international channels (Vietnamese – $20/mo, Brazilian Portuguese – $25/mo, or Korean – $30/mo) before March 12, your rates stay the same. If you add these channels on or after March 12, you will likely pay more to do so. If you are considering these channels, you may save a lot in the long run subscribing today for at least a month to lock it current prices. If the rate increase does not happen, you can drop the add-on after a month. Q. What are the biggest differences between the old and new packages? A. You are getting fewer channels for more money from the new Plus and Max package tiers. DirecTV Now is stripping out popular cable networks from AMC, Discovery-Scripps, and Viacom from the new packages, but bundles HBO in the new Plus package and both HBO and Cinemax in the new Max package. An unofficial new channel lineup of both new packages can be found here. Q. Why are they raising rates like this? A. AT&T shareholders have been increasingly critical about the company’s 2015 acquisition of DirecTV. Executives sold Wall Street on the acquisition on the theory that acquiring the country’s largest cable TV programming distributor with 21+ million customers would deliver AT&T’s much smaller U-verse TV (with 4-5 million customers) dramatically better volume discounts on cable TV programming. More importantly, it would help AT&T become a powerhouse in video entertainment and cut through the red tape of getting that programming on AT&T’s mobile products. If you are a cable network’s biggest customer, it helps in negotiations seeking streaming and platform distribution rights. After the merger, AT&T began de-emphasizing its U-verse brand and even started selling DirecTV satellite service to video-only AT&T customers. DirecTV Now was AT&T’s response to cord-cutting, and its promotional pricing and strong package of channels was customer and regulator friendly. At the same time AT&T was seeking to win regulator approval of its acquisition of Time Warner (Entertainment), it did not hurt to argue AT&T’s prior acquisitions had not hurt the marketplace, and may have even enhanced it, pointing to the DirecTV Now offering in the cord-cutting marketplace. But Wall Street analysts have often argued AT&T is losing money on DirectTV Now, because the wholesale programming costs plus the distribution and marketing expenses likely exceed the prices AT&T charges. Some analysts are even questioning the wisdom of acquiring DirecTV in the first place, especially as the era of cord-cutting has taken a particularly harsh toll on DirecTV’s satellite subscriber numbers. Just a few weeks after the Justice Department abandoned further court action to block the merger of AT&T and Time Warner, Stephenson followed through on his commitment to shareholders by preparing to prune back DirecTV Now’s packages and dramatically increases prices at the same time. Stephenson fully expects DirecTV Now will soon shed a large percentage of ‘low value’ customers that subscribed only because they locked in a low price or promotion, telling investors he prefers to deal with high-value customers that appreciate AT&T’s brand and quality, and won’t cancel over price increases. He does not want to deal with customers that chase promotions. AT&T is also using the changes to reset its video portfolio of products, and the audiences each will target. Those most sensitive to price will be marketed ultra-skinny bundles like AT&T Watch, which can also be used to try and get customers to switch to AT&T wireless. Middle ground customers partially sensitive to price, but want a channel lineup that better reflects what they actually watch will be pushed towards DirecTV Now, which will be marketed as cheaper than cable and a good option for cord-cutters. DirecTV’s forthcoming satellite streaming service will be the new home for customers that gravitated towards DirecTV Now’s higher end bundles. Marketing will focus on customers that want an alternative to cable television, but won’t sacrifice their favorite cable channels just to get a lower bill. These customers will be willing to pay a higher price to have a less-jarring transition from the traditional huge cable TV package to DirecTV’s alternative. Q. What does AT&T risk doing this? A. Hundreds of thousands of DirecTV Now subscribers are likely to cancel service as a result of this rate increase, which will leave DirecTV Now at a higher price than many of its competitors. AT&T’s loss will likely deliver a sudden spike of new customer signups for YouTube TV and Hulu Live TV, which are the closest equivalents. Other services like Philo, Vue, and even Sling TV are also likely to grab new customers, albeit in smaller numbers. AT&T’s biggest threat may turn out to be cable operators — especially Charter Spectrum, which has launched its own response to cable TV cord cutting. Its slimmed down and pick-your-own-channels packages could be more attractive than other streaming services, and bundle all local channels. 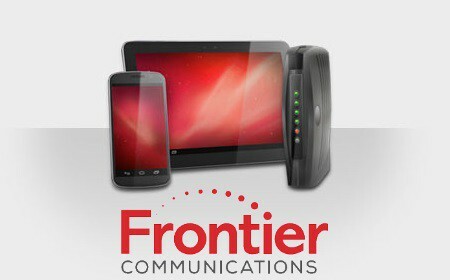 In the last three months of 2018, Frontier Communications reported it said goodbye to 67,000 broadband customers, lost $643 million in revenue year-over-year, and had to write down the value of its assets and business by $241 million, as the company struggles with a deteriorating copper wire network in many states where it operates. But Wall Street was pleased the company’s latest quarterly results were not worse, and helped lift Frontier’s stock from $2.42 to $2.96 this afternoon, still down considerably from the $125 a share price the company commanded just four years ago. Frontier’s fourth quarter 2018 financial results arrived the same week Windstream, another independent telephone company, declared Chapter 11 bankruptcy reorganization. Life is rough for the nation’s legacy telephone companies, especially those that have continued to depend on copper wire infrastructure that, in some cases, was attached to poles during the Johnson or Nixon Administrations. 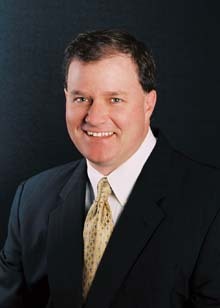 Frontier Communications CEO Dan McCarthy is the telephone company’s version of Sears’ former CEO Edward Lampert. Perpetually optimistic, McCarthy has been embarked on a long-term ‘transformation’ strategy at Frontier, to wring additional profit out of the business that provides service to customers in 29 states. Much of that effort has been focused on cost-cutting measures, including layoffs of 1,560 workers last year, a sale of wireless towers, and various plans to make business operations more efficient, delivering mixed results. Frontier’s efforts to improve customer service have been hampered by the quality and pricing of its services, which can bring complaints from customers, many who eventually depart. Frontier’s overall health continues to decline, financially gaining mostly through rate increases and new hidden fees and surcharges. In fact, much of Frontier’s latest revenue improvements come almost entirely from charging customers more for the same service. By “selectively,” McCarthy means being willing to let promotion-seeking customers go and being less amenable to customers trying to negotiate for a lower bill. The result, so far, is 103,000 service disconnects over the past three months and 379,000 fewer customers over the past year. A good number of those customers were subscribed to Frontier FiOS fiber to the home service, but still left for a cable company or competing fiber provider, often because Frontier kept raising their bill.